India is a country of more than 1.2 billion people of which more than 70% live in rural areas. 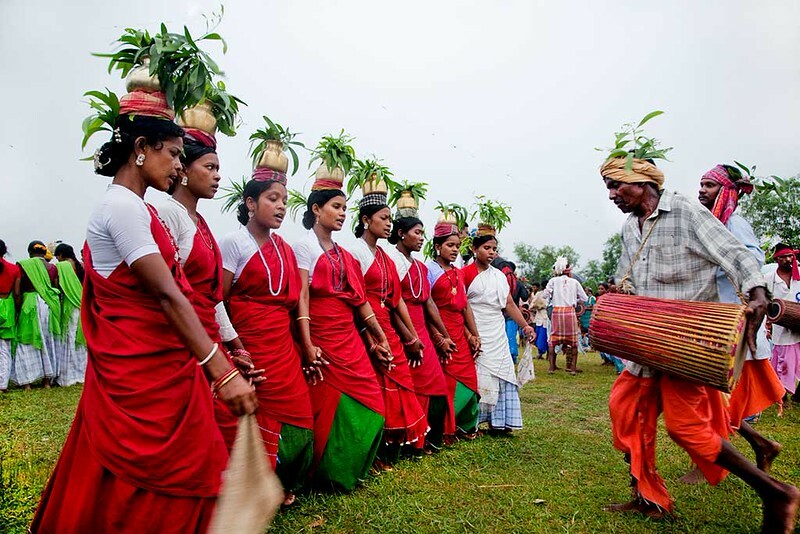 India government has scheduled more than 600 groups of people in rural areas as Tribal. Since most of them are very poor their only entertainment is dance and music. Region wise they have their own music and dance which they use to perform on different social occasions. Cultural diversity and richness of tradition of these tribal communities are reflected through the variety of these dances. Each dance has its specific costumes. These costumes are mostly very colorful with extensive jewelry.